Born in Old Kilpatrick on September 24 1960, Colin has lived in Helensburgh since he was four, when the family moved to the town. He started playing golf at the age of nine, and enjoyed a successful amateur career at boys, youths and senior level, culminating in his appointment as captain of the 2007 and 2009 Great Britain and Ireland Walker Cup teams against the United States. While a pupil at Hermitage Academy, he won the Scottish Schoolboys Championship for three consecutive years, a record to this day, and captained both the Scottish and the Great Britain and Ireland boys teams. Next he captained the Scottish Youths and Great Britain and Ireland Youths teams, and was runner-up in both the British Boys Championship and the British Youths Championship. 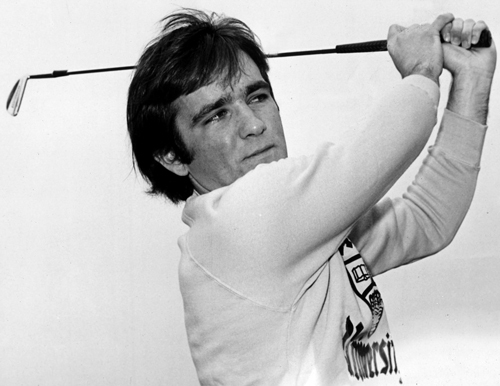 In 1978 he became one of the first British golfers to take up a university golf scholarship in the United States, where he attended Ohio State University, whose former students include Jack Nicklaus and Tom Weiskopf. While at Ohio State, Colin was in the team which won the 1979 National Collegiate Athletic Association division one championship. Back in Scotland he became the first recipient of a sports scholarship at Stirling University, from where he graduated with a BA in accountancy. He is a member of the university’s Hall of Fame. While at Stirling he won the Scottish Amateur Championship, the Scottish Universities Championship, and a number of major amateur championships and events both at home and overseas. He was selected for the Great Britain and Ireland Walker Cup team of 1981 which played the United States at Cypress Point, California. He also led Scotland to the triple crown in the 1981 Home Internationals, with a clean 6-0 record playing at number one as national champion. His amateur golf career took a back seat after university when, along with his younger brother Gordon he founded Perry Golf in 1984. Since then the company has firmly established itself as one of the leading providers of luxury golf holidays to a number of destinations around the world, primarily for an American clientele. 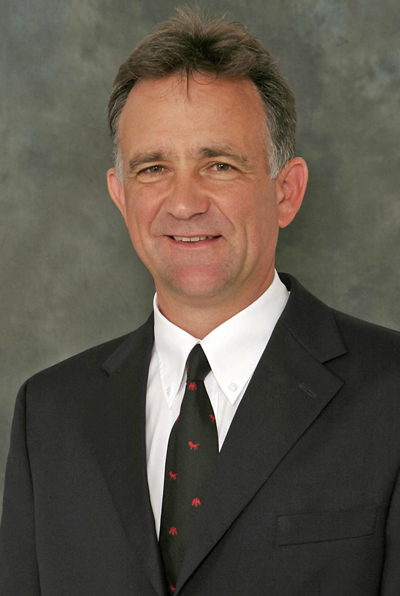 Colin returned to international competition as non-playing captain of the Scottish amateur team from 1993-6, and then was Walker Cup captain from 2006-9. "I really enjoyed playing in the Walker Cup a number of years ago and always regarded it as a great contest," he said. "I've been to almost every one of the matches since then, as a spectator, and have been impressed by the fantastic atmosphere. “To have the opportunity to be involved, in the capacity of captain, was really thrilling." He plays most of his golf — still to a high standard — on the hilly Helensburgh course, and is also a member of the Loch Lomond club and Caves Valley, Baltimore. He currently serves on the Equipment Standards Committee of the R&A. His company Perry Golf has the goal of providing the finest golf travel experience possible in the British Isles, Spain and Portugal. They have offices in Wilmington, North Carolina, and Helensburgh, with representative offices in Spain and Portugal, and have provided golf holidays for tens of thousands of golfers. The company takes pride in developing innovative travel opportunities, including golf tours aboard the Royal Scotsman train, private jet golf tours around the world, and ship-based tours. They designed and built a fleet of pale blue VIP golf coaches ideal for golfers and their equipment, and these are familiar sights in the burgh. Colin’s travels have taken him to almost every corner of the globe, with golf playing a large part in this. He has played many of the world’s finest courses, and also some of its most remote and hard to reach. He has served on the board of Golf Tourism Scotland, and in 2009 he received the first Lifetime Achievement Award given by that body.